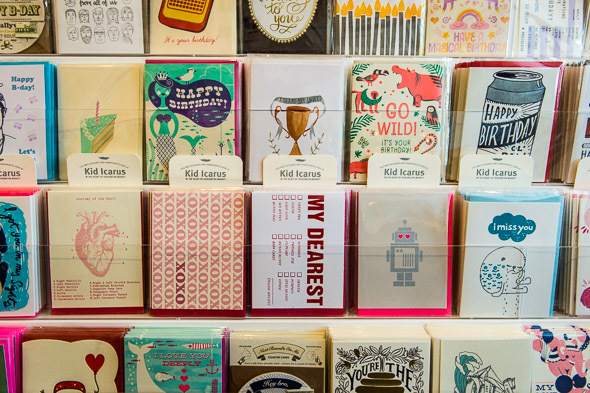 Kid Icarus, the novelty handcrafted paper goods store, has a new location in Parkdale . 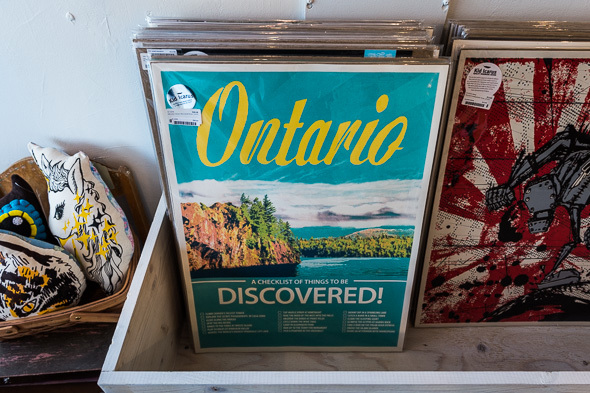 It's smaller than the original store in Kensington Market , and entering feels like you're walking into a pristine, quaint dollhouse stocked with charming posters, cards and notebooks. "Another adventure to pursue," is how owner Bianca Bickmore describes the aspiration behind opening a second location. 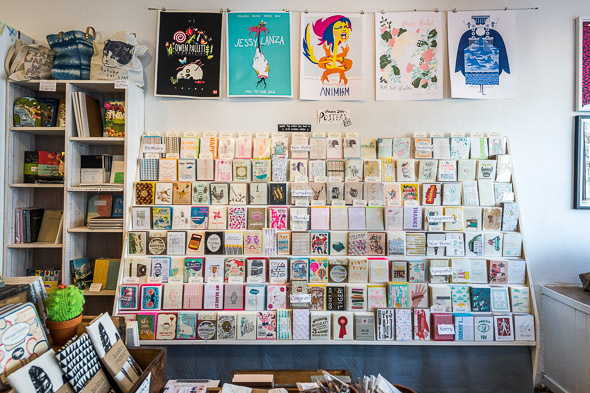 Kid Icarus carries over 50 lines of greeting cards, journals, planners and plush toys, and the selection is curated with a focus on local and Canadian artists' work. Bickmore collaborates with different artists on projects, and uses social media as their only advertising medium to connect with customers and artists. Bickmore knows their customers appreciate small, independent stores such as Kid Icarus - and make sure they know where to find them. 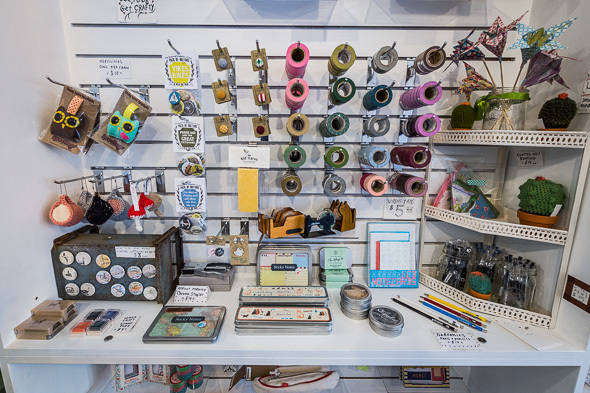 The first Kid Icarus shop opened in 2007 on Nassau Street, run by Bickmore and her husband Michael Viglione, who both have a background in custom printing. 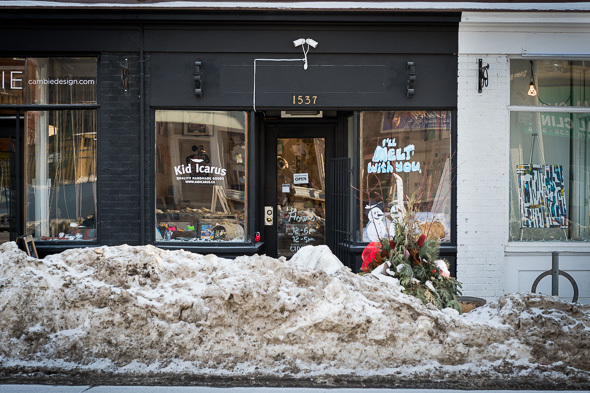 Kid Icarus is a self-proclaimed part "Canadiana" and part contemporary store. 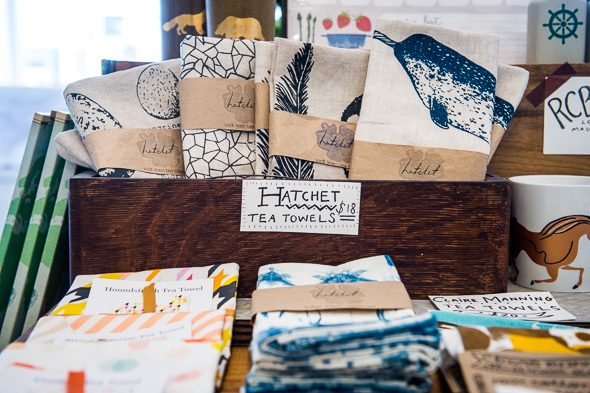 Choosing what to stock starts with deciding if the design fits the store's aesthetic. "For me to choose an item to stock, it has to be beautiful, finely crafted, and original," says Bickmore. "We ask questions to each potential artist about their background, their influences and processes." Bickmore isn't worried about a decline in stationery needs. "There's a certain romance and permanence with putting pen to paper," she says. So, while print may feel obsolete at times, stationery is very much back in demand and has become easier to find in the city. 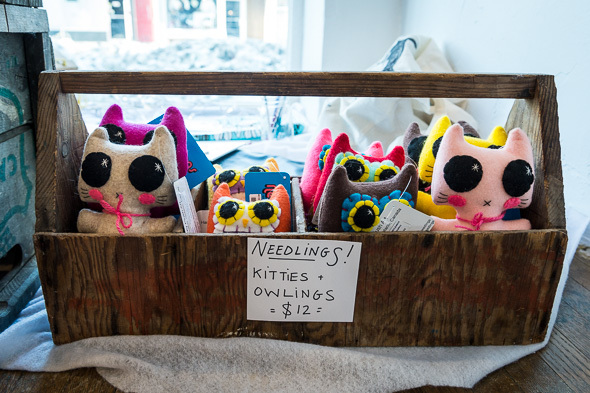 The more popular items in the store include totes by Hello Morrico stamped with "Future Cat Lady," jewelry by Rare Specimens , crochet cactus plants by Shannon Gerard and original 'Ontario Discovered!' posters created by Kid Icarus themselves. 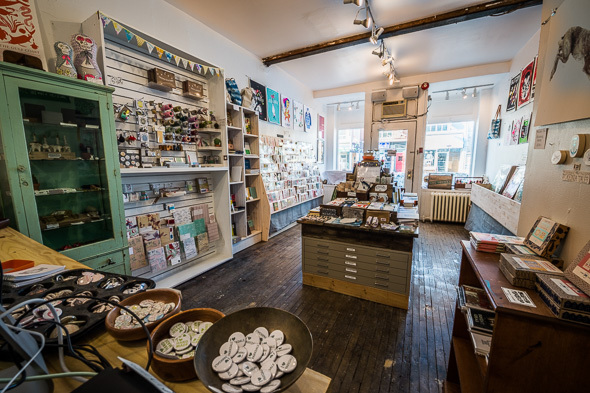 Currently, the store hosts custom print workshops at its Kensington location. The owners hope to expand the workshop offerings, and bring in more guest artists and themed in-store events.